North Carolina becomes 22nd state to ban state from doing business with companies that support BDS. JTA - North Carolina Gov. Roy Cooper signed into law legislation that would bar the state from doing business with companies that boycott Israel. 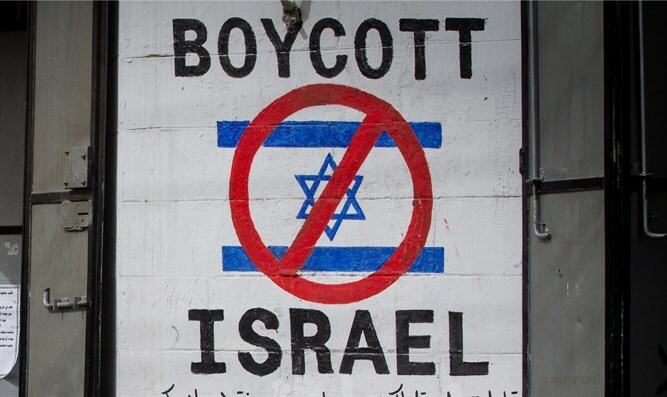 The bill signed by the governor on Thursday requires divestment from, and prohibits state agencies from contracting with, companies that boycott Israel. Earlier this month, the bill passed the state House of Representatives by a vote of 96-19 and the state Senate by a vote of 45-3. “This bill makes it clear that the State of North Carolina stands with Israel, which has long been an important trading partner of North Carolina,” said Carin Savel, CEO of the Jewish Federation of Raleigh-Cary. North Carolina businesses conduct nearly $140 million per year in exports and commerce with Israel. “The Jewish Federations across North Carolina have worked diligently on legislation to ensure that BDS efforts in their state fail. We applaud their tremendous work and commend the Gov. Roy Cooper for taking this important step against discrimination against Israelis by those who oppose the right of the Jewish people to self-determination in our homeland,” said Skip Schrayer, chairman of the Israel Action Network, an initiative of The Jewish Federations of North America and the Jewish Council for Public Affairs. North Carolina becomes at least the 22nd state with laws or executive orders banning state business with companies that support the Boycott, Divestment and Sanctions movement, or BDS, against Israel.